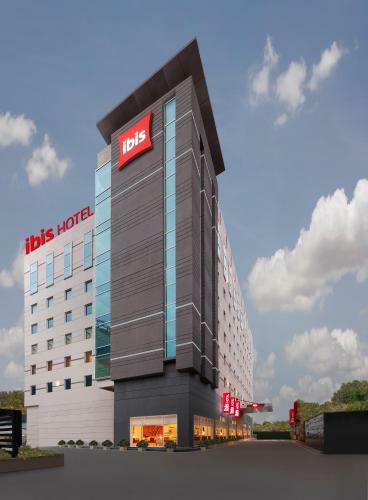 Отель ibis Hyderabad Hitec City - An AccorHotels Brand находится в городе Hyderabad. Отель Hyderabad Hitech City сети Ibis расположен в районе Хайтек-Сити. К услугам гостей ресторан Spice и бесплатный Wi-Fi на всей территории. Ibis Hyderabad Hitech City is located in Hitec City. Guests can enjoy the meals at Spice it restaurant. Free WiFi access is available throughout the property. Every room is equipped with a flat-screen satellite TV and a tea/coffee maker.